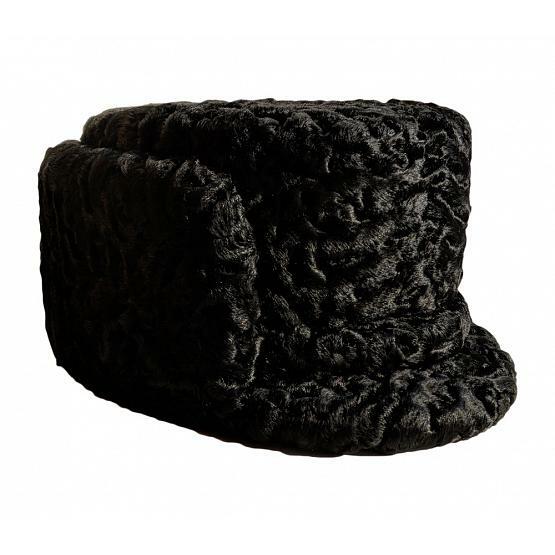 Famous black Persian lamb Russian peaked hat favored by many Soviet politburo officials. In Russian they often call it leningradka or one of Leningrad (now Saint Petersburg). 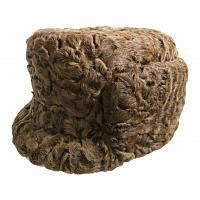 Handmade by top class furriers of real Karakul, this cozy fur hat will keep your head warm in any weather. 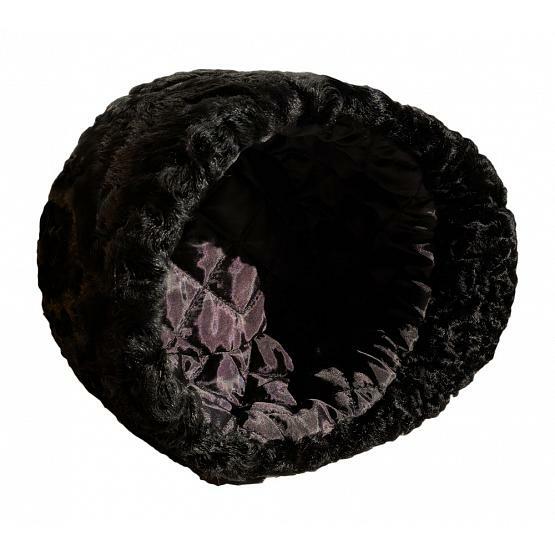 Cotton lining; visor. Please note: there are no pull down ear flaps. Height: 5.5-5.9" (14-15 cm). Production time: up to 7 business days.